Fr. Michael Joseph Scanlon, O.S.A. Michael Joseph Scanlon was born on August 1, 1937, in New York, New York, one of three sons and one daughter of Michael J Scanlon and Christine Costello. He was baptized on August 22, 1937 at Saint Anthony Church, Bronx, New York, and attended Saint Nicholas of Tolentine Parochial School there from 1943 until 1951. He then enrolled in Augustinian Academy, Staten Island, as a postulant for the Order. He was received as a novice on September 9, 1955, and following a year at Good Counsel Novitiate, New Hamburg, New York, he professed simple vows on September 10, 1956. He then attended Villanova University from which he received a BA degree in Philosophy in 1960. While at Villanova, he professed solemn vows in the Order on September 10, 1959. Michael pursued theological studies at the Catholic University of America and obtained the STL in 1964 and the STD in 1969. He was ordained to the priesthood on February 1, 1964 at Saint Nicholas of Tolentine Church, Bronx, by Bishop John McGuire, Auxiliary of New York. 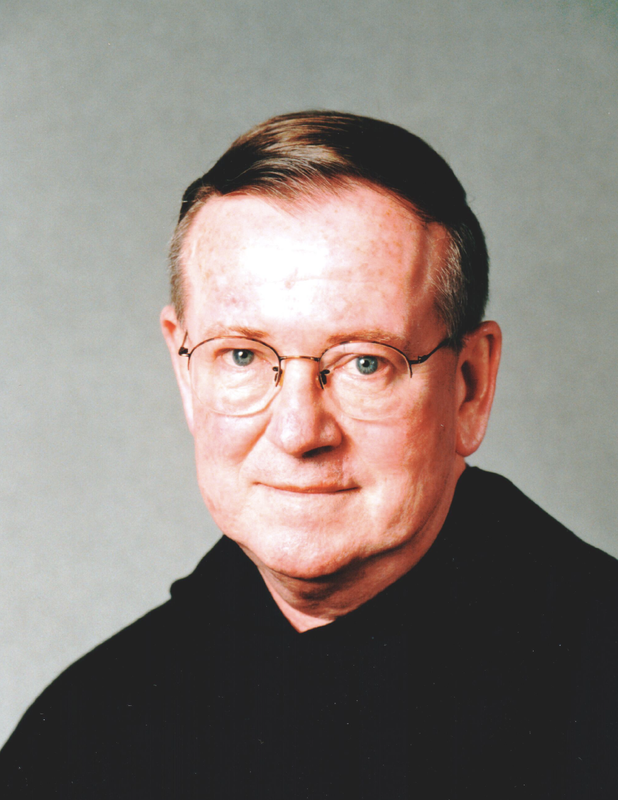 Father Scanlon's first assignment was as teacher of Latin at Archbishop Carroll High School, Washington, DC. In 1965 he was assigned to Augustinian College, Washington, where he taught theology for three years until he became a founding faculty member of the Washington Theological Coalition, (later, renamed the Washington Theological Union), a school of theology formed to educate students from several religious communities in the area. While continuing in this ministry until 1992, he was assigned in 1977 to the community at Austin Friars Hall, adjacent to Augustinian College. During the year 1988-1989, Father Scanlon was President of the Catholic Theological Society of America. In 1992, he was appointed the Josephine C. Connelly Professor of Christian Theology at Villanova University, first as a member of Saint John Stone Friary, from 1992 until 2005, then Bellesini Friary, Villanova, until 2008, when he returned once more to Saint John Stone Friary. Because of declining health, he requested in 2012 a transfer to Saint Thomas Monastery, Villanova, where he remained until his death on August 25, 2018, in the 61st year of his religious profession and the 54th of priesthood. Father Scanlon was often called upon to give theological talks and contribute to journals and conferences in his field. His most significant contribution, however, was to the theological education of countless religious and lay students throughout his ministry, especially during his 27 years in Washington, DC. Many of his former students, when encountering an Augustinian, speak glowingly of the influence, during their years of study, of Father Scanlon, and his confrere, close friend, and colleague, Father Edmund Dobbin, O.S.A. Newer PostFr. Robert Martin Burke, O.S.A.